There's a tinkling, tap-tap-tap coming from the pool deck of the Silver Muse. It's being made by a hammer against a tiny shoe nail in the hands of an Italian cobbler. Before your eyes, he custom-makes Italian leather sandals for another fortunate guest. One of the hallmarks of a Silversea cruise is the exceptional level of service. It's personified in the white-gloved, formally-suited butlers who not only provide, but actually anticipate your every need. Before we boarded the Silver Muse, I was not aware I needed a new pair of custom-fitted, hand-made, Italian leather sandals for my vacation. Once I saw Gennaro's work, it was obvious that is exactly what I needed. 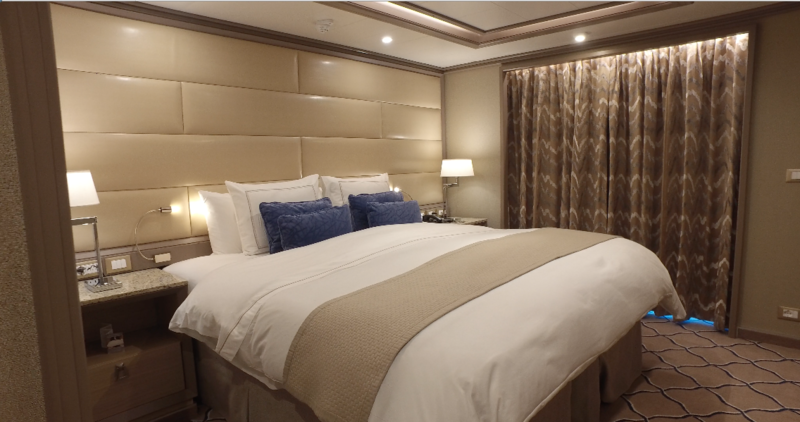 In the rarefied world of true luxury cruising, it can be hard to define what makes one cruise line's interpretation of luxury different from another's. In the case of Silversea, a cruise line with Italian roots, luxury at sea becomes la dolce vita. The good life, polished with pleasure and indulgence, Italian-style. In that context, having an Italian cobbler on board seems almost obvious. Of course ladies and gentlemen would like to meet a skilled craftsman who can make them custom Italian leather sandals on their cruise. Not all Silversea cruises have an Italian cobbler-in-residence. But wherever you sail on Silversea cruises around the world – and since they sail to 900 different ports of call on every continent including Antarctica, that is pretty much anywhere – a little bit of Italy travels with you. Here's our guide to the dolce vita, Silversea-style. There is an actual place called the Dolce Vita on board the Silver Muse, a relaxing lounge and gathering place sumptuously appointed and with day and evening service. A cappuccino? A glass of wine or champagne or a bespoke cocktail to enjoy as you exchange greetings with fellow guests, plan the next day's adventures, enjoy the pianist with your aperitif before dinner? Gather with intimate or larger groups in a perfect social setting. And don't miss the stylized portrait of Silversea chairman Manfredi Lefebvre d'Ovidio whose Italian heritage inspired and shapes the Silversea lifestyle. Everyone loves Italian cuisine. But not everyone serves authentic Italian cuisine. Silversea does. La Terrazza restaurant is located on an aft deck where you can choose al fresco dining so the sea breezes complement cherished regional Italian dishes, daily fresh-made pasta and the freshest Mediterranean ingredients. The restaurant's relaxed style evokes the atmosphere (and mouth-watering culinary experience) of dining in outdoor restaurants in seaside Italian towns. Spaccanapoli is hard to say, but the original Neapolitan pizza it serves is easy to swallow. Most guests on the ship just say 'the pizza place', but that off-hand term hardly does this pizza restaurant, on the top deck overlooking the pool, justice. Inspired by the historic street in Naples, the seaside town where pizza was born, Spaccanapoli is one of the most popular places to dine on the ship. Chefs in the open-air kitchen work hand-made dough and create made-to-order pizzas in a range of authentic recipes, baking them in a pizza oven only a few steps away from your al fresco table. 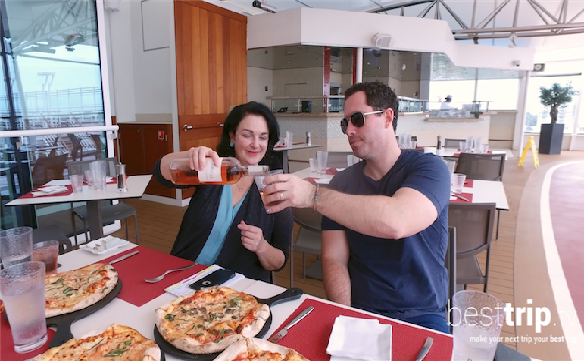 It couldn't be simpler, or more special: a super-chilled, crisp rose wine in the sea breezes mingling with the fragrance of authentic Neapolitan pizza. Italian coffee and a selection of wines are perfect accompaniments to quiet and social moments throughout the day. 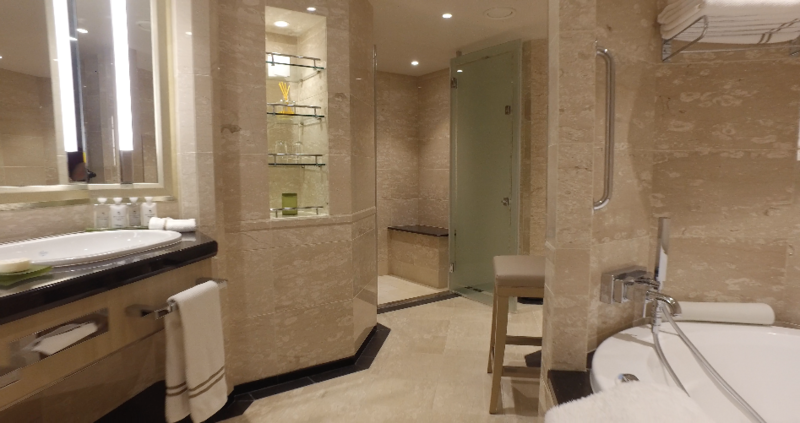 One of your first interactions with your Silversea butler on boarding and entering your suite involves your selection of bath amenities. Italian lifestyle brand Bvlgari is stocked in your marble bathroom, but another Italian brand, Ferragamo, is also on offer, making it easy for you to channel your inner stylish Italian as you luxuriate in your suite's bath. Morning coffee on your veranda, or at the ship's spa. Any number of occasions on board the Silver Muse call for a cozy bathrobe and slippers. Italian fashion house Etro supplies particularly plush ones to Silversea. The family business is famous among those in the know for mens' and womens' wear, as well as accessories and home products. It is sometimes tempting to stay in the robes all day! After an exciting day of travels, when you finally lay your head down at night in your suite, you'll be resting on linens from legendary Italian firm Pratesi. Join European aristocracy in sleeping on bed linens that have been called masterpieces of comfort and luxurious style. Difficulty sleeping? Ask your butler about options from the pillow menu, including lavender aromatherapy pillowcases. Whether you're in Buenos Aires or Belfast, Capri or the Caribbean, make sure you enjoy the Italian indulgences on your Silversea ship.